Do you have any idea that even your mind requires fitness tips and regular exercise??? Just like your physical framework requires stretching so also a healthy mind needs to flex and stretch its mental muscles. Similar to health fitness applications, you can get an entire range of such memory and brain storming or training games build on either Android and iOS platform to sharpen your wits and maintain the health of your precious brain. The mobile app developers have recognized the need to build applications that cater to the health care and fitness of their app users. So here we have a list of top 15 brain fitness mobile applications that you can install and use. HighIQ Pro- The most recommendable brain storming application highly supported by neuroscientists, is an evidence-based prototype from laboratory studies. The core objective of this app is to improve your IQ by training, expanding, and improving the performance of working memory. Usable on the android platform, it is not really a cheaper option for you. 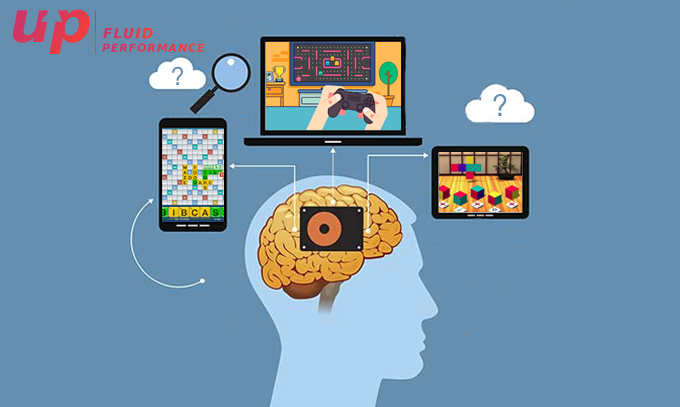 Memorado- The game contents challenges your working memory and cognitive control. Comprises of three steps, starting with training goals, assessment stage followed by a difficult and personalized stage. It seeks to train memory, logic, concentration, reaction, and mathematical skills. Braintrunk- Over 40 brain fitness games, challenging your cognitive skills, are designed by researchers and psychologists. This game enhances your intellectual as well as emotional, episodic memory, and communication skills. Lumosity- If you have to challenge your intellect, then this is the right option for you. It combines many diverse disciplines such as neuroscience, visual art etc. to create an engaging brain training program. It enhances your analytical skill and sharpens your wit through 50+ cognitive games. Available on Android and iOS platform, is not free of cost. Elevate- It is an absolutely free game for Android and iOS that train users on brain capabilities such as listening, memory and comprehension. It’s key focus is on practical language and math skills, such as estimation, comparing values and name recall as well as reading and listening comprehension. Peak- It has a full range of brain workout, testing users’ focus, memory, mental agility, problem solving and language skills along with a variety of daily mini games and goals. Performance metrics in the app allows you to track your daily improvement. NeuroNation- Built on both the app platforms, is a science based training game to polish your wits. This game allow you to practice a variety of exercises that challenge your numeracy, memory, perception and reasoning. NeuroNation offers added contents that you can unlock through in-app purchases. Fit Brains Trainer- It is a fun yet challenging game to track your progress and training streaks, making you aware of your strengths and weaknesses. The program has around 60+ fun games and 500+ personalized training activities that trains your Emotional Intelligence Skills as well. Some games are available as free trial followed by monthly subscription. CogniFit Brain Fitness- It combines neuroscience and gamification to develop mental exercises imbibed with fun elements. You can assess your mental ability through a series of exercises and train further in fields such as memory, focus, attention etc. It allows you to challenge your contacts within this game. Brain HQ- Cognitive training program with multiple levels to cross in a shorter time span of just 5 mins for each level. It allows you to design your own program and workouts to match your requirement. Available for Android and iOS phones with monthly and yearly subscription plan. Headspace- Built for iOS and Android phones, is a free gaming app with premium subscription that features scientifically proven game techniques to develop health and happiness. A basic mind meditation training with (10 minutes per day for 10 day period) continuous course. The app tracks your progress and set reminders and have sessions for offline use as well.. Brain Yoga- There is a whole range of logical puzzles and brain games in a more low-pressure format, it has a more meditative free play approach. This game apps includes memory games, pattern recognition, shapes, and puzzles, with 10 configurable difficulty levels. It is a free game that allow users to get daily brain workouts. In-app purchase removes ads and allows you to play unlimited games. Quizlet- Again a game that strengthen your focus level using flashcards to help you to memorize certain specific information or solve minor issues. The flashcards cover a wide range of topics from mathematics to languages and many more. You can create your own flashcards as well and this game is available for all smartphones built on either platforms. Eidetic- This game focuses only on your memory, using flash card-style approach to allow users to memorize useful real-life applications. The app has a simple system for users to write down and memorize whatever is relevant. Eidetic automatically notifies you when it is a good time to practice. Happify- This app’s main focus is on developing your emotional intelligence to build a positive outlook on life through mini-games, quizzes, guided meditations and other activities. It reinforces happiness skills such as serenity, peaceful, empathy, gratitude etc. Some features are free of cost however subscribers to more advanced features. This is only for iOS phones. So if you are planning to lead a healthy and hearty long life, then it is highly imperative to not only stay physically fit but also your brain needs to be in a perfect working condition by keeping it relaxed and a little bit of brainstorming that will definitely help you. The multiple mobile apps designed specifically for this purpose are available on the popular Play Stores. Scan through the list and install the perfect one for you. Next articleVirtual and Augmented Reality in Gaming industry: Curse or Boon?